What’s problem number one when it comes to wood furniture exposed to weather? Don’t want to have it ruined, because the rain comes suddenly, right? So, you have some plastic tarps to cover them with? Do they look nice? Stay with me and see an elegant fix. Because she was constantly moving things around, couldn’t enjoy the porch. Then an idea come to her and I must say, a brilliant one – to add curtains on the sides of the porch, that could be easily pulled out when it’s raining. The best thing is , she got them for $10. 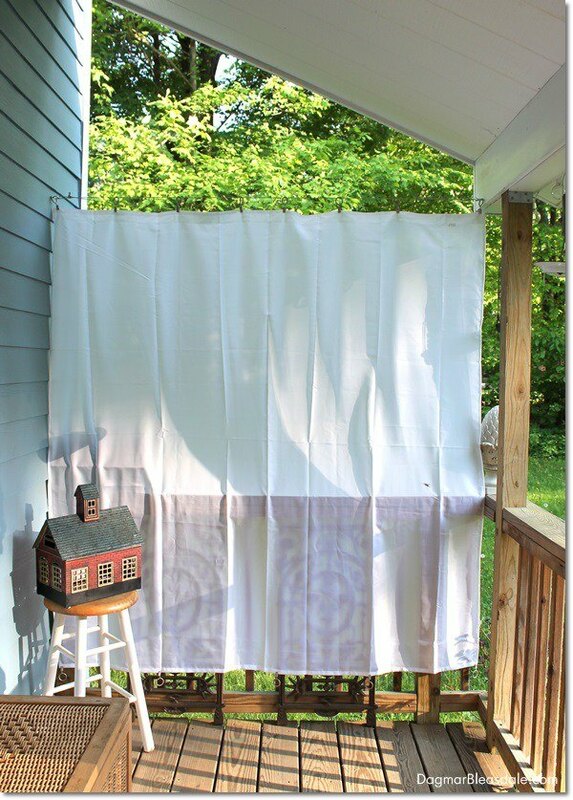 Just some plain shower curtain liners that look like fabric. So far, she is using them for more than 2 years and they are still in perfect condition, not ripped or torn. You can also wash them in the washing machine when they get some dirt or dust. 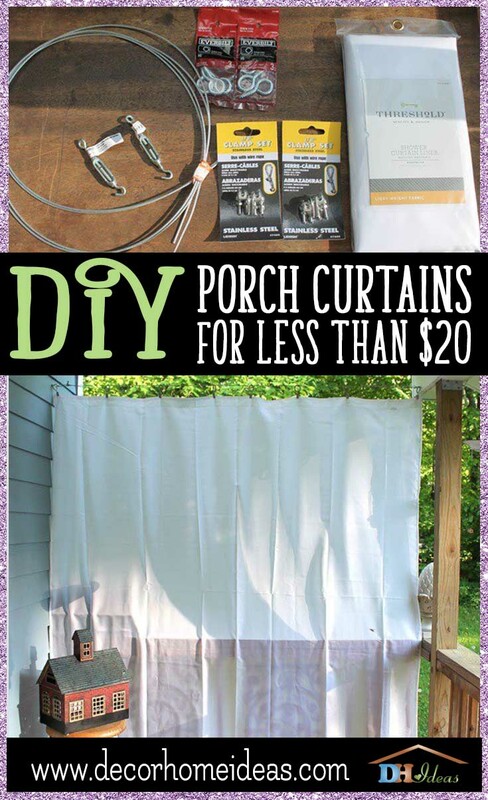 DIY Porch Curtains Made With $10 Shower Curtain Liners. 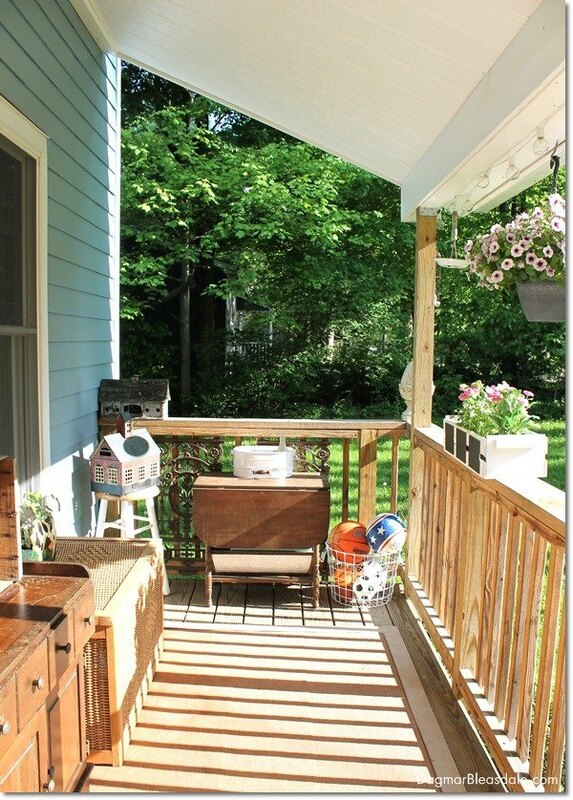 You can take a quick look at the porch which is stuffed with a lot of wood furniture and you can only imagine how difficult is to move all of them in bad weather. Not to mention what will happen to the furniture if you are not at home at time the storm hits. 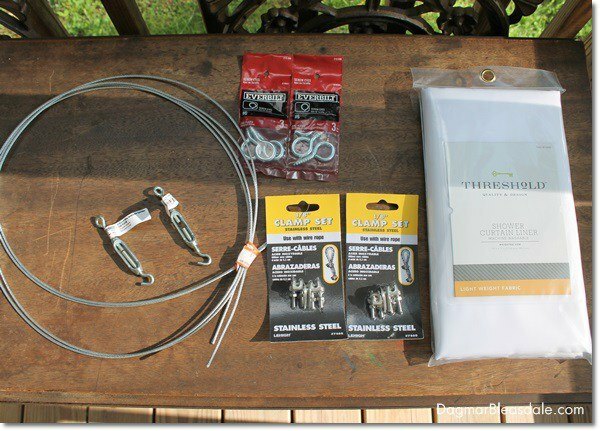 These are the supplies that you will need to make the same curtains. Visit her blog to see step by step instructions and a list of all materials needed. Nothing expensive and some of them you can actually have already at your home. 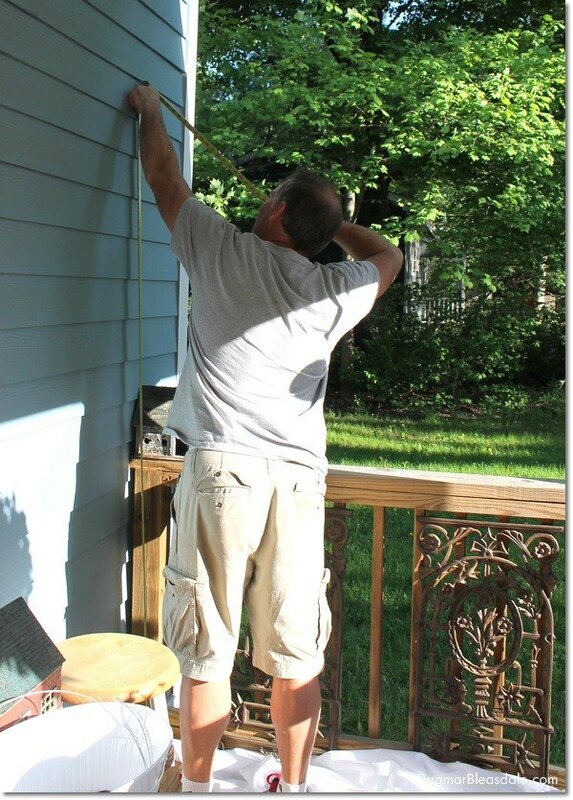 Well, she got a handy husband to help, a finish carpenter so putting the wire was a job he done for her. Nothing complex, screw two screws and hang the curtains. So here is the end result! You get a bonus to the rain protection – called privacy. Don’t forget to go to Dagmar’s Home and follow her instructions! They are so easy, you wouldn’t believe it.